Content and aims: The course focuses on understanding the rise of “anti-gender” movements and sentiments emerging from the rise of populist and far right ideologies/groups. The workshop will examine how the “anti-gender” discourse is constructed and mobilised as well as recent attacks on academic freedom, especially in the field of gender. Dr. Paternotte will also discuss and critique the notion of populism. Dr. Massanari will focus on these phenomena in online environments, specifically dealing with online misogyny and its intersections with the alt-right. The workshop welcomes PhD students in social sciences and humanities interested in these topics. Writing a reflection paper (3-4 pages) based on seminar presentations and discussions, including relating these topics to your own research (15 academic hours). NB! Please contact your doctoral study specialist before registering to the course to make sure the credits can be formalised. Please find more details and register to course here and to the seminar here. 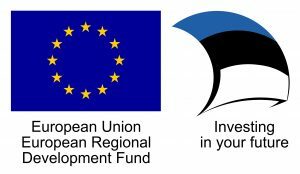 Activity is financed by the European Regional Development Fund through the institutional package measure for R&D institutions and higher education institutions (ASTRA project TLU TEE of Tallinn University) and is organised by Doctoral School of Behavioural, Social and Health Sciences and Doctoral School of Culture Studies and Arts in collaboration with Gender Studies Research Group at Tallinn University.